This month, Chain Store Guide introduces the CSG Big Box Hardware Breakdown. 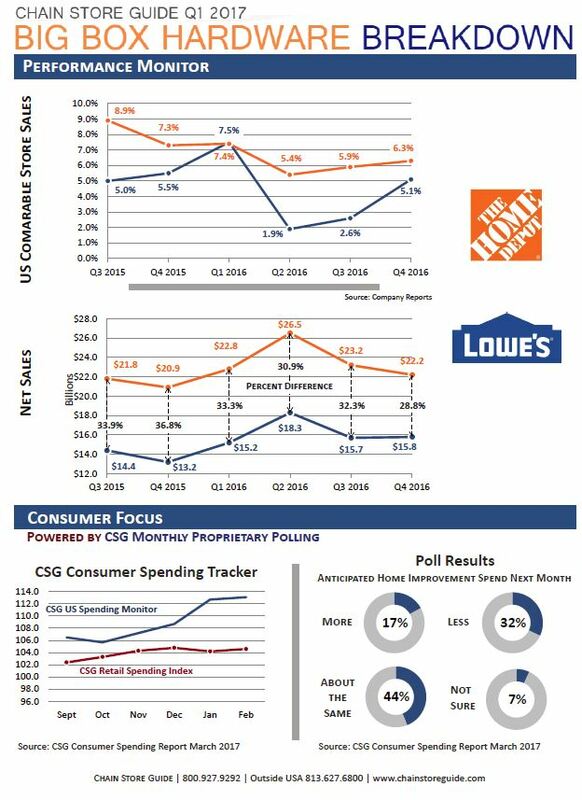 Each quarter, this data dashboard will provide you with at-a-glance graphic analysis of the latest performance figures from The Home Depot and Lowe’s. In addition, we’ll present the results from our proprietary consumer polling efforts along with industry data found within our Database of Home Center Operators & Hardware Chains.